Where science and fun mix. What do dinosaur fossils, ink drawings and free haircuts have in common? They're all part of the latest installment of the Exploratorium's "After Dark" series: "Rock, Paper, Scissors." Known also as "roshambo" in the US and "Jan-ken-pon" in Japan, the decision-making game has been played for centuries around the world. Tonight's event, which runs from 6 p.m. to 10 p.m. and is for those 18 and older, invites attendees to learn about the hand game and will feature film screenings and explorations of rocks, paper and metal, according to organizers. In addition to discussing the game's origins, the event will feature an "RPS" tournament and include a presentation on how X-ray radiation can be used on dinosaur fossils and analyzed to reveal characteristics of the extinct beasts, such as skin and feathers, according to organizers. Attendees can also indulge in a free haircut by a professional stylist from San Francisco's Public Barber Salon or contribute to a collaborative Sumi ink drawing, among other rock-, paper- and scissors-related offerings. According to the museum, After Dark -- a series of 18-and-over evenings -- takes place on the first Thursday of the month, mixing "cocktails, conversation and playful, innovative science and art events." According to organizers, After Dark was launched in April 2009, but the museum previously hosted adult programs on Wednesday evenings. 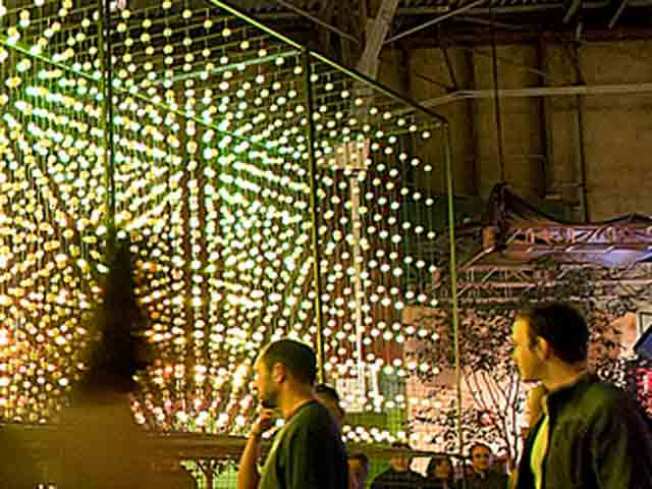 Approximately 1,000 people attend the monthly events, an Exploratorium representative said. Admission to After Dark is included with museum admission, which is free for members, $15 for adults and $12 for students, seniors and people with disabilities. Free parking is available at the event. The museum will be closed between 5 p.m. -- its standard closing time -- and 6 p.m., so museum-goers who arrive before 5 p.m. should keep their admissions stickers and receipts for re-entry after 6 p.m.